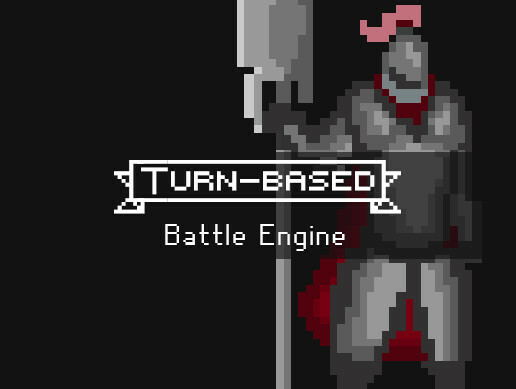 Turn-based RPG Battle Engine 2D - is a developer focused asset, created to provide all the necessary systems for, and facilitate the development of turn-based encounters. 1) Invocation of any normal methods and enumerators via the inspector, with any number of parameters. 2) Creation of function chains for skills, items, and character A.I. 3) The asset comes with an array of pre-made functions to ease the development process. 4) A turn-based point system is implemented to manage npc turns. 5) An attribute system, which allows the creation of any number of attributes for each NPC, is implemented. Each attribute can be checked and modified as part of functions chains. 6) Unity's default animator system is primarily used for character animations. 7) Music and sounds system. 8) Item, skill, and character information is separately hosted, and can be configured in the "database". 9) The battle itself is managed via a series of coroutines which moderate separate aspects of it. 10) The auto-battle system allows for automated combat by utilizing custom character A.I. function chains and the turn system. The asset is incredibly flexible and is meant to be modified and adjusted to fit individual projects. Please note that the engine is designed to act as a template for turn-based battle systems. Programming knowledge is essential to make proper use of it. The asset comes with well structured and well commend code, detailed documentation, and customer support.